I'm a sucker for romance, so when a book that contains no romance, but is still able to keep me entertained, I gotta call it a miracle. 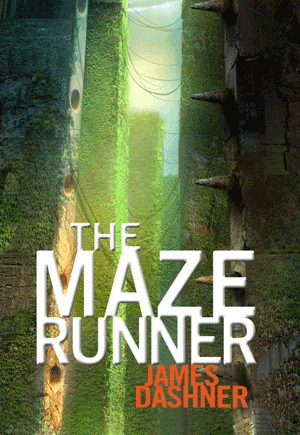 The Maze Runner is a book about survival. We follow the protagonist, Thomas, as he wakes up in this weird box and is being sent to The Glade, which is a place in a giant maze. There are already quite a number of boys in The Glade, and their memories have all been wiped out. Thomas, dying to grasp his memories and find out the truth behind this maze, discovers his important role in escaping the maze. James Dashner is a genius! I guess anyone who can think of a plot like that is nothing but genius! At first, it took quite some time to get into the story because it was quite confusing with all those unfamiliar terms going on. But once I got to about 80 pages, things started to make sense and it got me really intrigued. I love Dashner's writing style as it is very vivid and detailed. I could totally picture myself in those scenes and warn you, sometimes I was so nervous that I held my breath (I know, common YA line right?). I think you better have the next book in hand before you start it, because the epilogue is such a cliffhanger that makes you dying to know what happen next. So many questions surface at the end of the book. I believe that in the next book, The Scorch Trails, we'll face an even bigger mystery than the maze. Have you read this book? Are you excited for the movie? Comment down below!